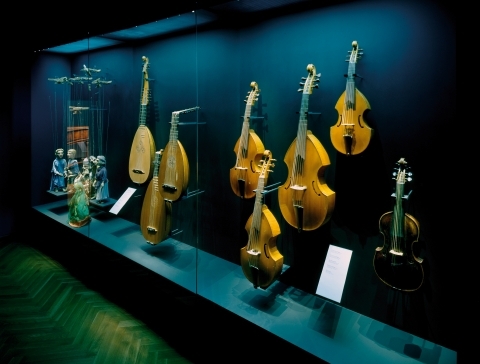 The historic Lohnhof now houses Switzerland’s largest collection of musical instruments also known as the Museum of Music. 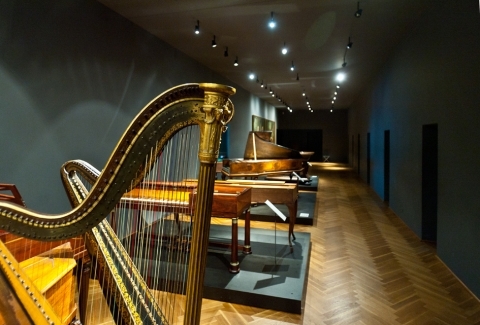 The exhibition features some 650 instruments from five centuries of music-making spread over three storeys. The 24 cells of the former prison serve as exhibition cabinets in which visitors can use an interactive on-screen program to choose from more than 200 music samples and obtain further information. The presentation is structured according to the overriding themes of European music history and so places each exhibit in its larger musical and social context. They sang Parisian chansons, played Polish lute music or collected musical instruments: for Basel’s Renaissance burghers. Music was essential to the cultural life of the city. 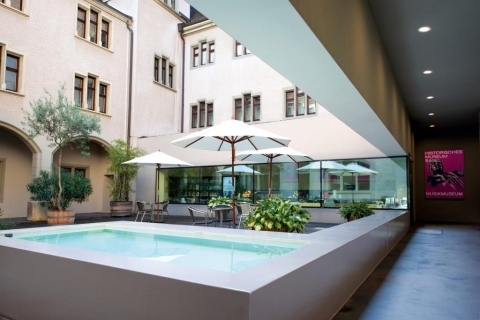 The exhibition is a co-production with the Schola Cantorum Basiliensis (FHNW), the Musikwissenschaftliche Seminar of the University of Basel, and Basel University Library.